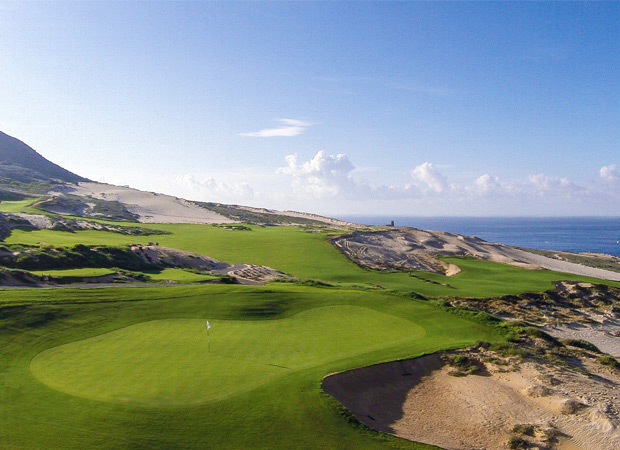 Created as an exclusive amenity for owners and guests of Quivira Los Cabos and Pueblo Bonito Oceanfront Resorts and Spas, the award-winning Quivira Golf Club is anchored by a Jack Nicklaus Signature Design course, built on one of the most stunning settings in the world: the tip of the Baja Peninsula. 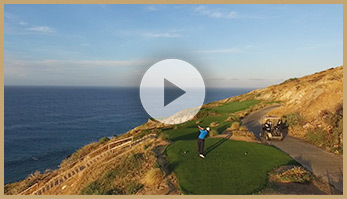 Its world-class layout offers dazzling views and breathtaking drops from tee to fairway. 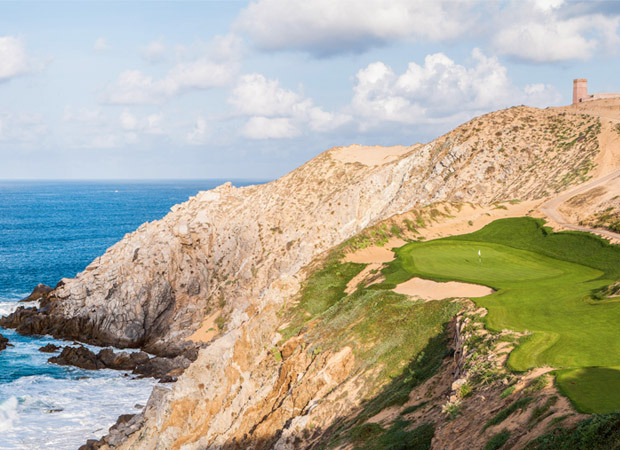 In a destination revered for its unique ocean-desert-mountain setting, Quivira offers more oceanfront exposure than any other course in Los Cabos, with panoramic views of the Pacific Ocean from every hole. During the round, players can refresh themselves at four comfort stations interspersed throughout the all-inclusive facility. The Oasis, a halfway house near the eighth green, serves ceviche, barbecued shrimp and inventive takes on classic Baja cuisine, while the deluxe tequila bar features blanco, reposado and anejo tequilas. 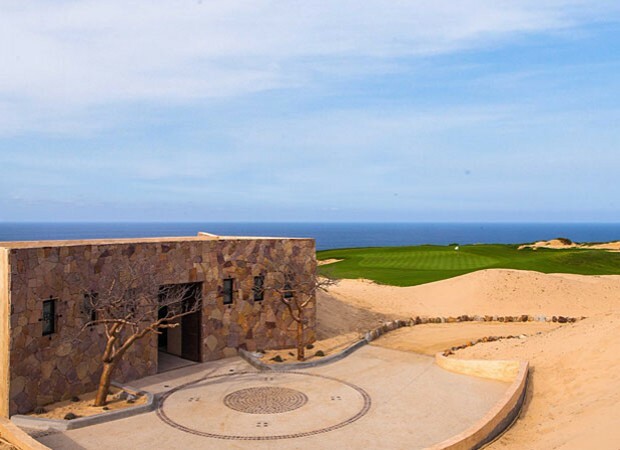 Completing the experience at Quivira is a thatched-roof clubhouse situated between the first tee and 18th green that offers a large rectangular bar, a casual steakhouse, and ample outdoor seating overlooking the sea. 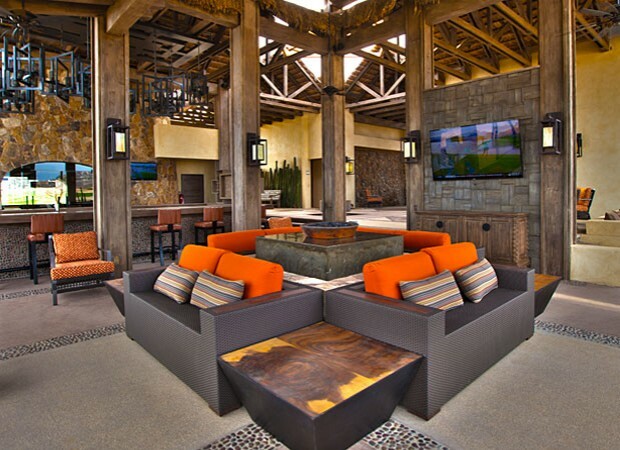 Enjoy tuna sliders, fish tacos, and Quivira Clubhouse Signature Cocktails. Save on green fees when you add rounds of golf at the time of booking your hotel reservation. Rounds can be added on the “Extras” page when booking. Plan an unforgettable incentive golf trip or group getaway and benefit from our group rates and concessions.